They do distract from writing and reading other blogs, I must admit, but I have also found the awards to be good ways to make new friends. When I get an award, I try to visit the nominator (generally a friend), the person who nominated my friend, and some of the other nominees. I have made lots of friends that way. Awards are incredibly time consuming, but I cope with that by having a draft saved in my dashboard and adding new awards to the draft as I get them, so I remember to thank people eventually without having to scour my comment archives. I post thanks mostly, nominating and following rules would be prohibitively time-consuming, so I’m afraid I view the rules as optional. As for finding the awards to be a fiction or a link scheme, I put way too much effort into the process for this to just be a fiction, and I always enjoy the awards. Lovely things have been said about my blog and writing by very talented people. I prefer to see that as genuine accolade, not polite fiction, and I appreciate the time people take to say those lovely things. If it helps my SEO, then I see that as a nice bonus, but not the main point. Being connected is what blogging is all about. I am trying to find an audience for my work, after all, or I would be hiding my writing in a drawer. I assume that is true for all bloggers. Why not be connected? Thanks to Battered Wife Seeking Better Life for awarding me the Sunshine Award. She is a terrific writer and lovely person with deep understanding. 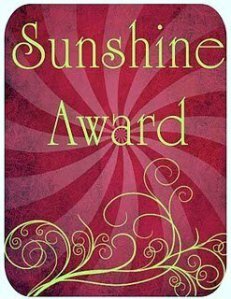 Then Peace, Love & Great Country Music also awarded me the Sunshine Award. She really knows how to inspire with good sense and beauty. 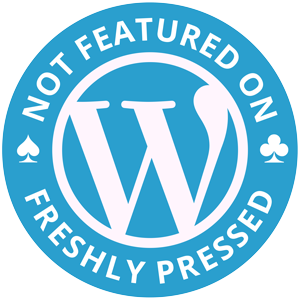 Thanks to Laika at the Misty Lady for my next award, NOT Featured on Freshly Pressed, which was created by Don Charisma, for friends he considered very inspiring and positive people who deserve to be freshly pressed but haven’t been. When I visited Don to read about it, I saw that he’d given it to me in his original post, and I never got a ping and missed the post in my reader. So that’s twice I’m NOT Freshly Presssed. The award has the usual rules (oops, I’m so rotten at those) and also suggests a paragraph on whether or not I care about being freshly pressed (FP). Do I care about being FP? Umm, well I suppose so, although most days I spare not a thought for the possibility. Writing for kids of all ages in a friendly manner is not the kind of writing to impress editors in their 20’s who probably don’t have kids. Or whose kids have never read a scary book, cried and had nightmares, and been so sad and tired afterwards. Further, today’s culture is one of media exhibitionism, bare it all for fame and fortune, which I’m not really into. I do admit to liking being appreciated, though, so I could probably summon the energy for a happy dance were it to happen. Am I the one blog out of 500,000 that is likely at any particular moment to rise to the notice of a young editor? 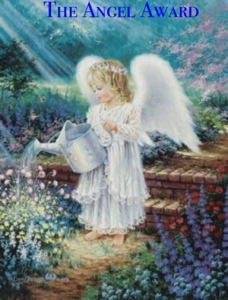 Well, I write for myself, my kids and kids of all ages that like fairy tales, that love nature. That’s what makes me happy. I am pleased to be considered inspiring and positive, so that is good enough for me (but it’s my secret if my fingers are crossed). Thanks to Lilmisspoutine at sim|antics for dropping by with a bombshell of an award — The Seven Awards in One!! She melted my heart by saying: “When my soul needs to be soothed with poetry (or learn about different forms of poetry), this is where I go.” Aww. The seven awards are: the Reader Appreciation, The Dragon’s Loyalty Award, the Versatile Blogger Award, the Shine On Award. the Most Influential Blogger and the Cracking Crispmouse Bloggywog Award. Since I have already gotten them all, I will use my award acceptance token. 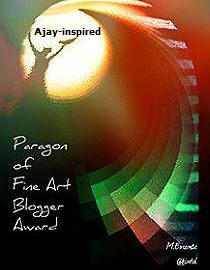 Thanks to Idealistic Rebel for awarding me the Paragon of Fine Art Blogger Award. Barbara has a huge heart and an interest in making the world a better place. She teaches me lots about the world. 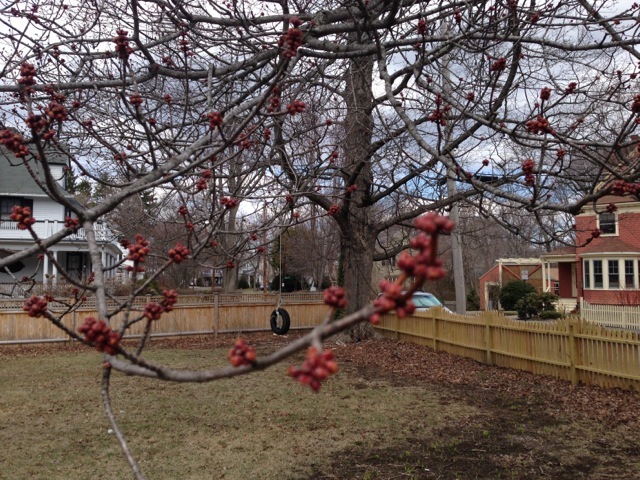 Despite being award-free, Willow scattered awards to the wind, sowing them like a joyful gardener. 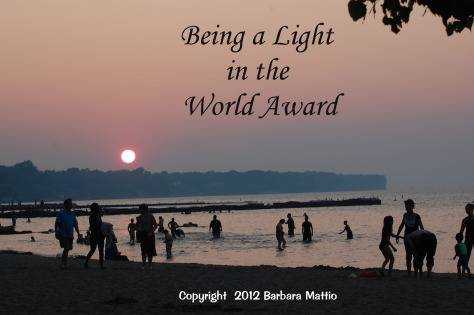 For her, I picked one up and shared it with you: Being a Light in the World Award. Thanks, Willow!! Then cupcakesandpopcorn gifted me the award again! I am thrilled!! The Light in the World Award is to celebrate those who spread light, love, hope and peace in the name of humanity through blogging. 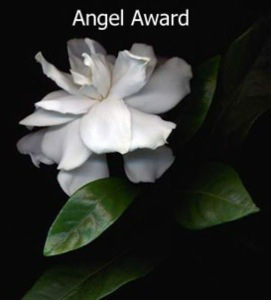 “Bloggers receiving this award are encouraged to continue promoting these virtues and work as a force of peace and light in the world, touching their readers’ hearts and making a difference in their lives, no matter how small,” according to L&A. I will endeavor to do this, and I know many of you do in your blogs. Please take this award for yourselves as a touchstone for your own goals. 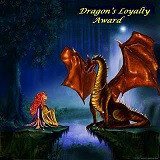 Thanks to Middlemaybooks for nominating me for the Dragon’s Loyalty Award, and it comes with a pretty new icon, yeah! Cool dragon! Thanks to Adrienne Middlemay, a talented lady who writes novels about the Gilded Age citizens of Englewood, New Jersey, explores the unknowable past, milks goats and reaps the benefits of marrying an ex-military guy with a big heart and crazy ideas. 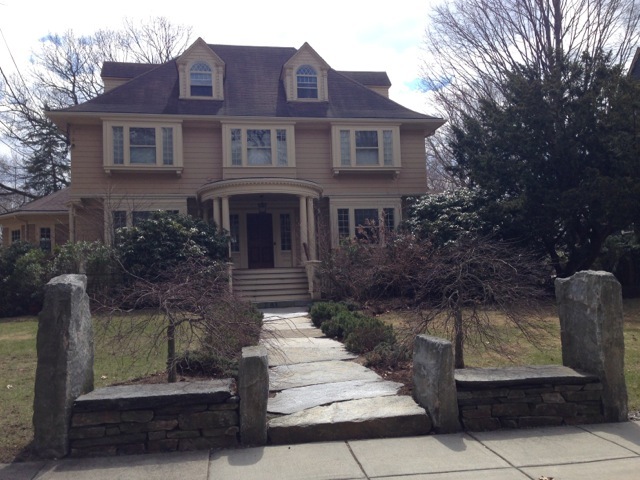 She also wrote the award-winning novel The House on Tenafly Road, and yes, a lot of that was lifted right from her site, so straight from the horse’s mouth. And she’s broken all ten commandments. Wow, she’s been busy! Also thanks to Linda at naturerestoresme for another award of the Dragon’s Loyalty Award, with yet another cool new dragon icon. 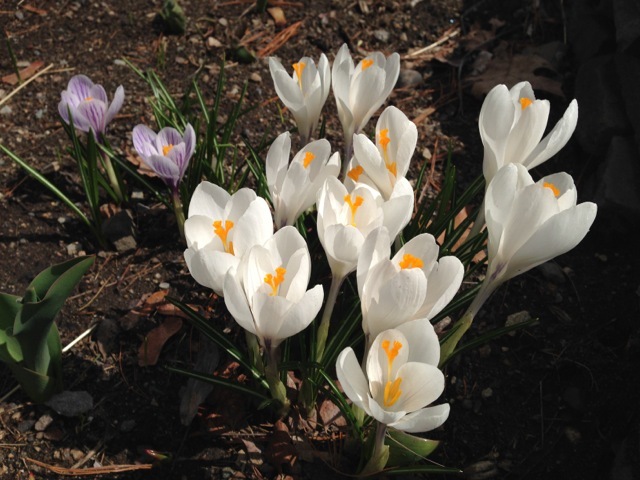 Linda is a full-time nature photographer, and is amazingly in tune with the world around her. Thanks to Maria at DecidinglyBob for the Shauny Award, which directs us, among other things, to show humanity and love and to try to be true to yourself. Those are great goals, to always keep in mind. Maria is a dog lover with an awesome sense of humor. CeeLee is an ADHD mom and a pool attendant and a great writer. Thanks to Morgan at BooknVolume, whose lovely words of friendship delighted me: “I value your Friendship and how you Inspire me every day.” Isn’t that lovely? Thanks Morgan!! You are indeed a Friend and Kindred Spirit. I love costume dramas, especially Pride and Prejudice. And have you ever seen Bride and Prejudice? Hilarious and worth watching! 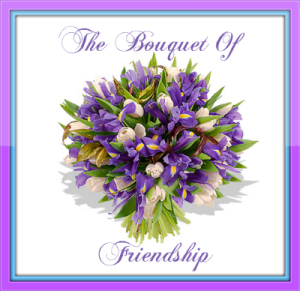 Thanks to Patty at PetiteMagique for the Bouquet of Friendship Award, which contains The Sunshine Award, The Lighthouse Award, The Dragon Loyalty Award and The Liebster Award!! Wow!! Patty is a talented artist, writer and all-around magical person. Thanks to Steven1111 at Naked Nerves for giving me the Semper Fidelis Award. This is what he said about those he was nominating, including me: “These are the folks who keep me happy here and make me feel connected…. I like all these blogs a lot and have found them to be sources of true inspiration and joy.” Steven is a lovely blogger, and a true friend. I hope you will visit him. 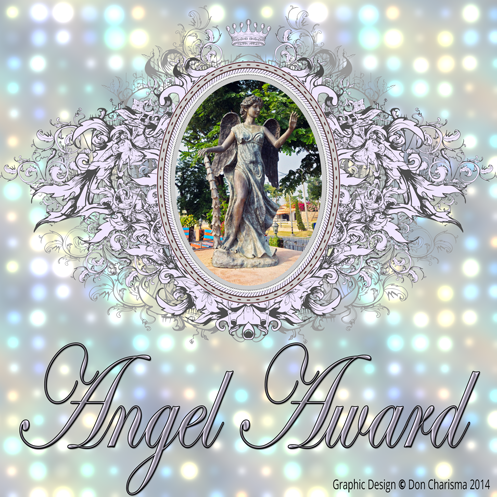 Thanks to MrsJacoby19 from Poemotherapi Shoppe for awarding me the Angel Award, created by Don Charisma, who also awarded it to me. Don created two icons and MrsJacoby a third, and I will put them all here, because they are all beautiful!! If you don’t know them, you should check out Don Charisma and Poemotherapi Shoppe, they are good people, Angels both of them!! 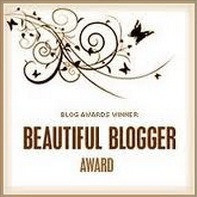 Thanks to InfiniteZip at Patchouli for awarding me the Beautiful Blogger Award. I think this may be my first time getting this particular award. So YAY, a new one. 🙂 InfiniteZip is a new friend, I am still getting to know. 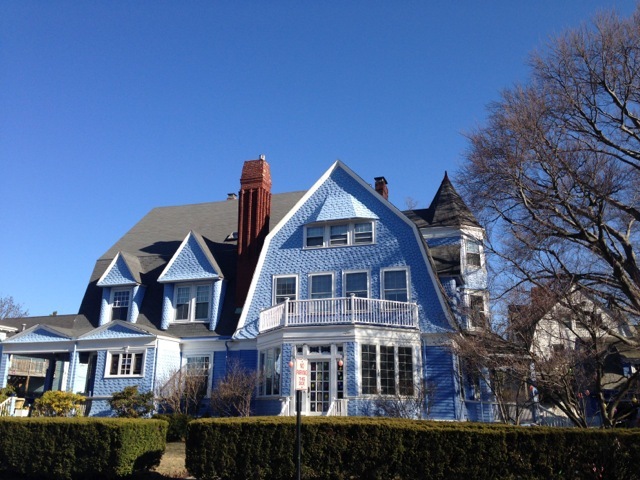 She is a poet, and she is participating in April NaPoWriMo. Go Zip!! 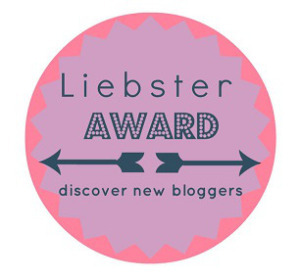 Thanks to Lor at Let There Be Peace on Earth for the Liebster Award! 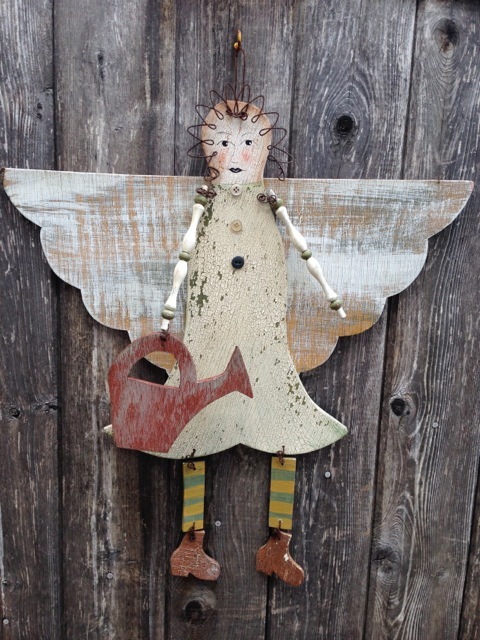 Lor is a new friend with an eye for beauty and lots to offer new friends. She asked me some questions, but lately I’ve chosen to share my life through my haibun, and I will leave people to read those, since each one is a bit of me. I would like to say thanks to all my readers, fairy tale lovers, fellow bloggers and friends throughout the cyberworld!! You guys keep me going, I love the interconnections and the joy I feel reflected back to me every day!! 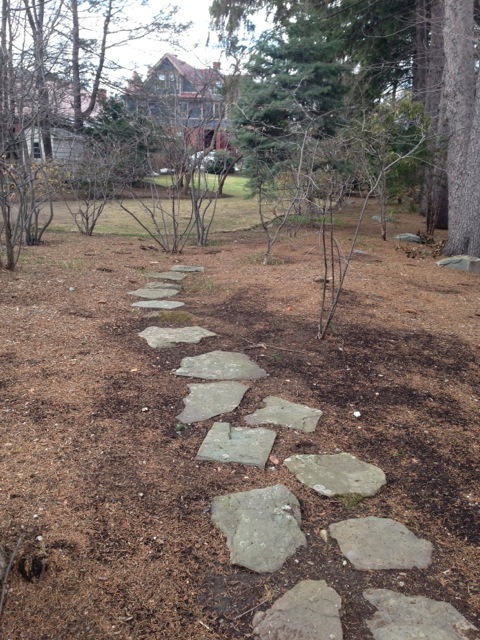 I hope you all enjoy your chosen path, find beauty in unexpected places and are showered with magic and fairy dust by all who love you. Remember, just because you can’t see magic, doesn’t mean it isn’t there. And just because you can’t feel happiness, doesn’t mean it isn’t waiting for you, just around the bend. Congratulations on your awards Brenda. I must agree that this is a great post since it addresses important issues by awards. At first, I did not participate simply because I did not understand the process. Now, I love when I receive nominations as well as giving them. As you say, this is a great way to meet new people and get to know those you already know some more. It’s an excellent time to visit those bloggers you’ve had on your mind and to show them how you appreciate their creativity–how you appreciate their blog. Excellent post! I’m glad my words were not offensive, I did feel sure that many would disagree with me. Fortunately, so many people are tolerant of each other’s points of view, and that is part of the great part of WP! My plan was to publish a monthly award thank-you post, but it’s not happening that frequently, so I decided not to make that promise. I was so tired last night, I couldn’t string any words together coherently for poetry, but I could just manage to finish the award posting before it got any bigger. LOL My hubby better come home soon, I’m wearing down. LOL He’s in Japan. Taxes are due. Yikes! I pretty much agree with your view on awards – it’s a way to say thanks/recognize the bloggers you enjoy and help bloggers you like find other bloggers you like. I laughed at your Not Freshly Pressed button. I may “borrow” that. Congrats! You have been honored by your friends and I can appreciate that. 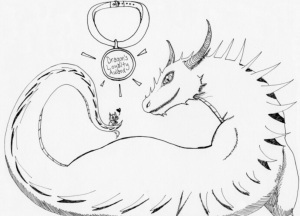 But, for my site, I don’t think the chain letter effect really fits. I accept the honor from the nominator, and I really do appreciate what they are bestowing on me, but then again, the site is not about me – so why answer 11 questions about me? I started and will continue to find friends on the reader. Congratulations on so many lovely awards. And thanks for the lovely walk. I will come by and see. Many congratulations Brenda. I personally like awards, because they do give me that bit extra motivation and – as you point out – can be great tools for making and sharing connections (especially for newer bloggers). You handled this bumper stack of accolades marvelously, think I’ll have to try something similar! Eve, That is a great point of view, too. I am often tempted to not accept anymore, I am as caught by the time constraints as everyone else. The people who don’t post do it for good reasons, and I was just musing on why I continue to accept I guess, rather than trying to convince anyone. I can’t imagine not being able to get likes or comments. How did you get feedback or didn’t you? You are such an amazingly positive person!!! What an inspiration. It’s wonderful to see someone take so much time to be appreciative and thoughtful. You blow me away, Brenda. 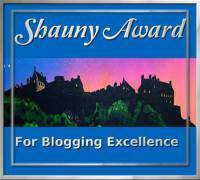 As a new blogger a year or so ago, I was thrilled to receive awards, now I’m not so sure about them. I appreciate it for sure, but it’s hard to do the “paying it forward” equal justice. I like to accept the award then give it right back as sweet, sweet revenge! Thanks for your kind words Brenda, and you’ve mentioned a lot of people that I will have to check out. And congratulations on all those awards! That’s just awesome. Congratulations on a big stack of well deserved awards! Thanks! (I’ll jus admire your nice orderly stack.) 😉 My acceptance is a quick shout out of “thank you” in my friday posts. Good system. Having a system is important, I’m finding. 🙂 Managing one’s time is always tricky. This is the best synopsis of blog award acceptance I’ve come across. Perfectly stated and look at how many awards you’ve been nominated for!!! You have to know you’re doing something right. I agree awards are totally time consuming and I’m right there with you as far as the rules being optional. Sometimes a genuine thank you is all that can be mustered and I think that’s perfectly fine.